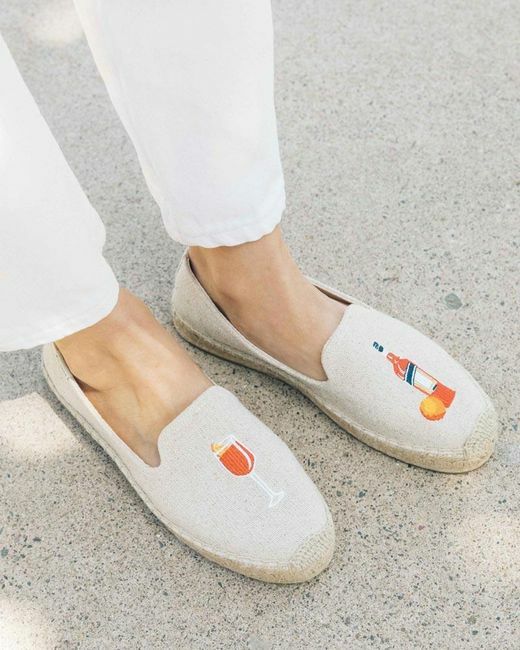 Summer's Favorite Cocktail. 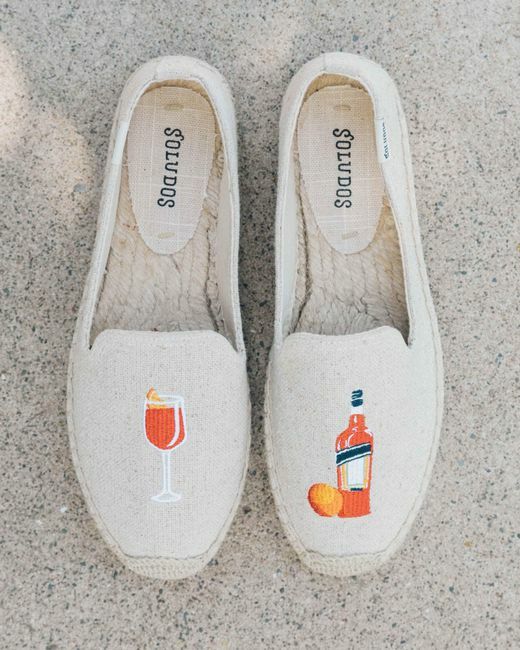 Our quintessential smoking slipper features summer's favorite cocktail. 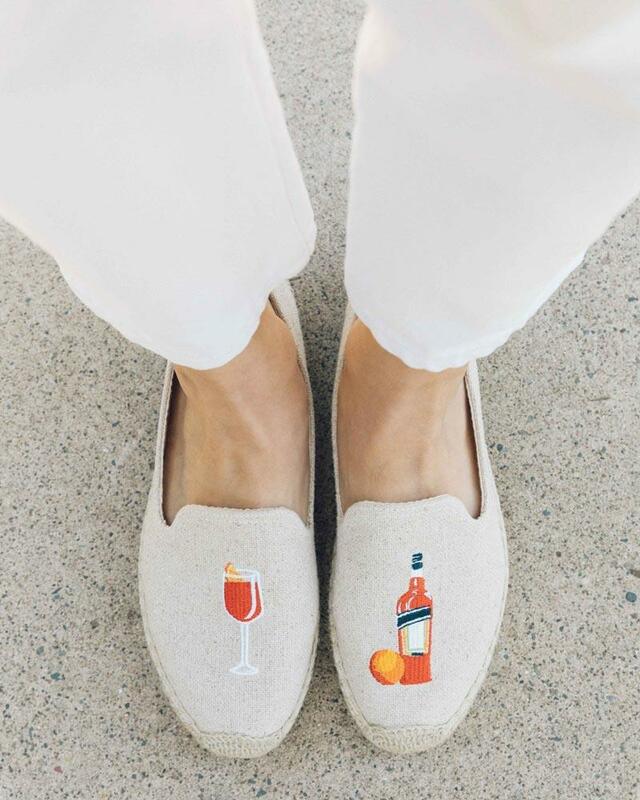 Espadrilles could feel snug at first, especially around your toes. 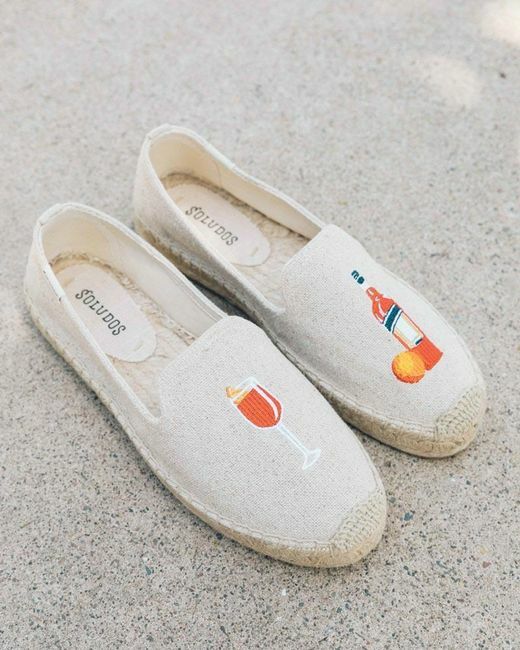 Every Soludos espadrille features traditional blanket stitches that have enough give to mold to your foot. After the first wear, they will stretch for a custom-like fit.